With a tagline of THERE IS EVIL IN ALL OF US, you would expect Asylum of Darkness to have some monsters. The movie does not disappoint in that respect. There are practical effect creatures, eyes torn out, decapitations, intestines everywhere, and blood…lots of blood! We lost TV legend Richard Hatch earlier this year, who is best known for playing Captain Apollo in the original ’70s series Battlestar Gallactica. 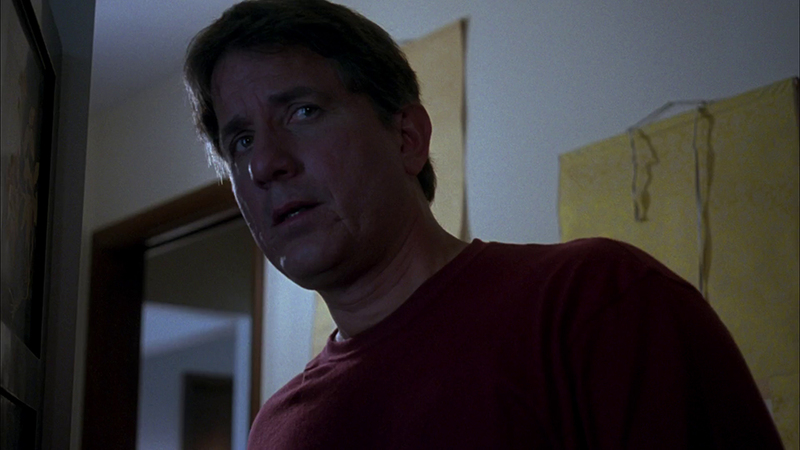 In the time before he passed, he appeared in a handful of low-budget genre films. 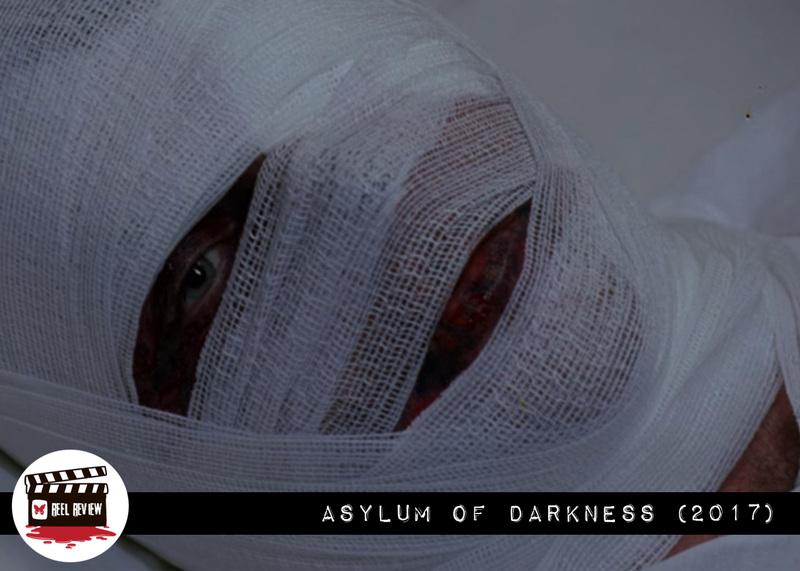 Among them was Asylum of Darkness, a mental hospital horror directed by Jay Woelfel. Asylum of Darkness also stars the incredibly busy actor Tim Thomerson, Nick Baldasare and indie horror icon Tiffany Shepis. 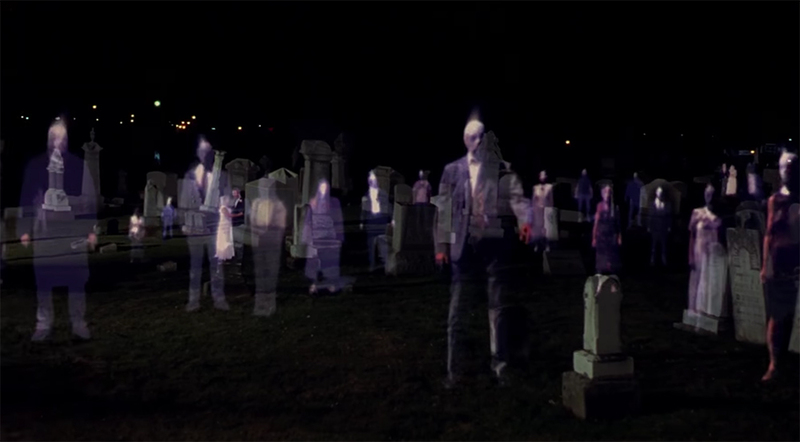 The movie was shot on 35mm film which, with digital, is unusual these days. I have to say that made it look like it was a movie pulled right out of the ‘70s. I hate to speak ill of the dead, so I won’t. I liked Richard’s performance as gory, tongue-in-cheek Dr. Shaker. He gave his all to the character, and I appreciated that he was a professional to the end. But…the movie itself was so scattered and confusing that I’m honestly not sure what I just saw. 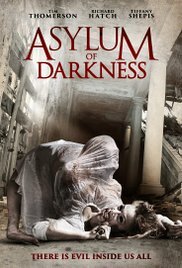 Asylum of Darkness left me unsure if it was aliens, ghosts, monsters or just plain insanity that I saw on the screen. It was very difficult to know what motivated our secretive and crazy protagonist Dwight (or whoever he really was). I had a hard time getting through this film. Honestly, the only thing that kept me going was to see what else Richard Hatch would do in the mental hospital nightmare. If you liked Battlestar Gallactica and want to watch Richard Hatch one more time, then give Asylum of Darkness a look. But otherwise, I think the movie would have been better left on the cutting room floor. I feel Asylum of Darkness is a film that will either drive you mad…or make you absolutely mad for it. For those with a real taste for the surreal (reminiscent of Cronenberg and Lynch), there’s a lot to love here. But, as unique and trippy (often delightfully so) as the film is, it ultimately feels like it’s trying too hard to blow your mind. The movie’s penchant for mind games leaves the viewer in a constant state of confusion and disorientation that feels a bit frustrating and exhausting — especially given the film’s exceedingly long two-hour run time. There’s some truly great stuff worth mentioning in this film, including the satisfying old school horror vibe and the outstanding practical effects. Though Asylum of Darkness is never truly scary, gore hounds should be satiated. The movie definitely keeps you guessing throughout, and it’s never not interesting. There’s some solid dark humor, great performances, interesting storytelling, and a particularly fun and insanely bloody boardroom scene about an hour and a half in that alone is almost worth the price of admission. 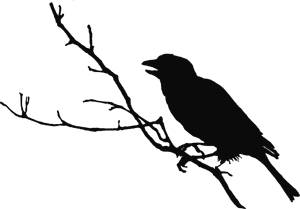 Ultimately, I though there were some real bright spots to be had throughout and appreciated the effort. The potential is certainly there. But the movie is a little too convoluted and incoherent to sustain greatness at this length. If you do give it a watch, be forewarned that it’s a movie that takes your full concentration and commitment. This is certainly not a popcorn flick you can watch and enjoy with casual abandon.